The innovative Saeco Intenza+ technology reduces limescale build-up for longer machine life, optimized brewing pressure and consistent temperature. Individual adjustment of the unique Intenza+ Aroma System allows performance tailored to your water type and gives you freshly filtered water on demand. The Intenza+ also reduces other substances that may affect smell and taste of water such as chlorine. As a result, you get a perfect cup of coffee with a natural and intense aroma and a rich and creamy foam. Please check your user manual as models may be updated over time. 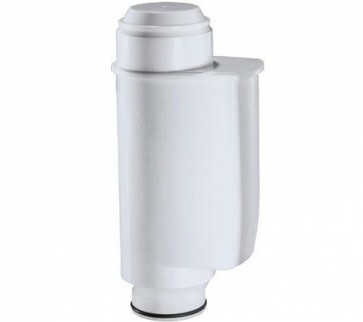 The Saeco Intenza Water Filter Replacement fits most Saeco superautomatic espresso machine models. For best results change filters every two to three months.